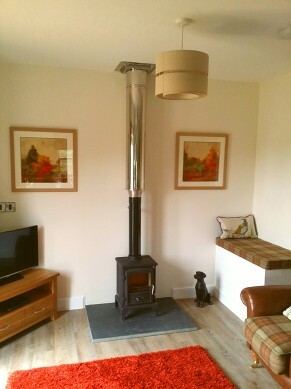 Rigid flue systems are installed when there is not a flue available to use. 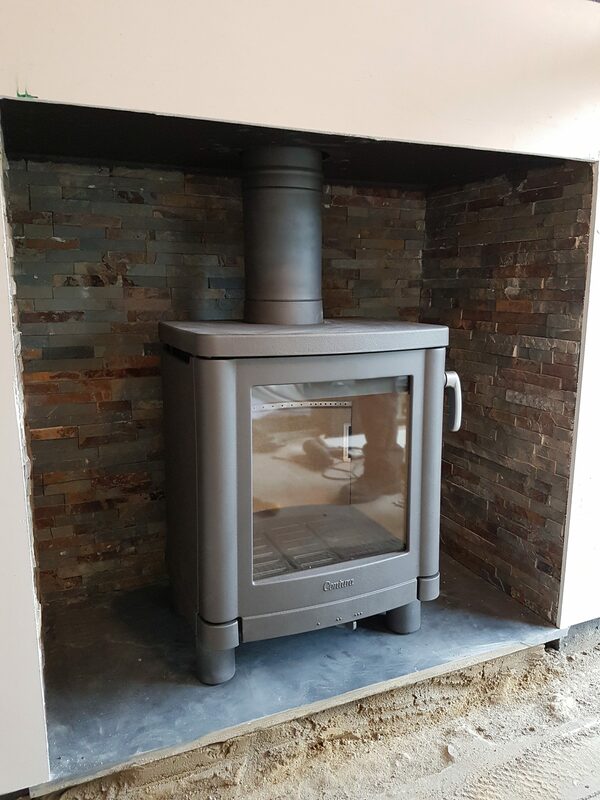 They can be installed internally or externally depending on the suitabilty of either option. 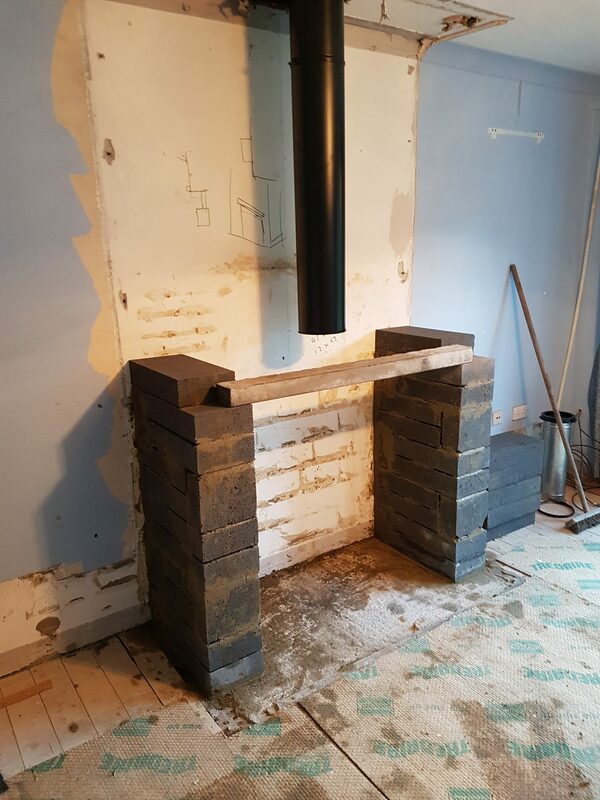 The twin wall sections come in set lengths and angles that are locked together and held with fixing brackets to support the weight of the flue. 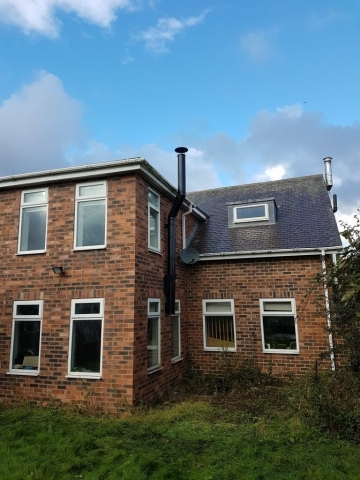 Idealy the system should be as straight as possible, have no more than four bends of no greater angle than 45 degrees and terminate as high as practically possible to minimise the risk of poor chimney performance . 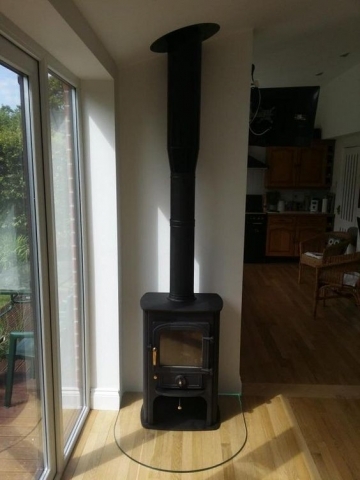 Internal flues must be boxed in when going through living spaces above the room in which the appliance is located and will radiate heat into these rooms providing more warmth. 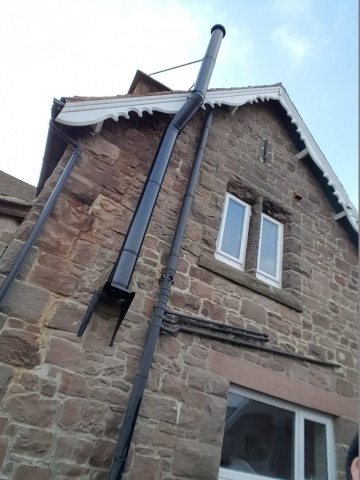 Flues can be powder coated to make them blend in more than the stainless steel finish they are made in. 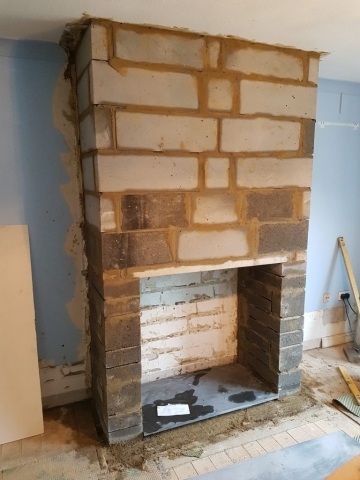 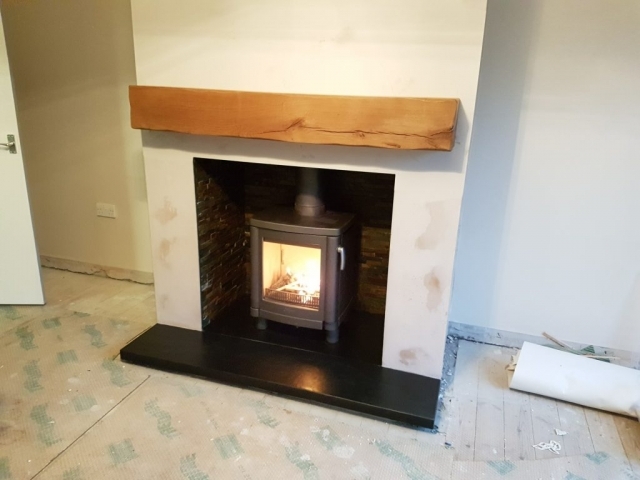 False chimney breasts can be built around the appliance and flue system giving an appearance of a traditional or modern fireplace or they can be left freestanding. 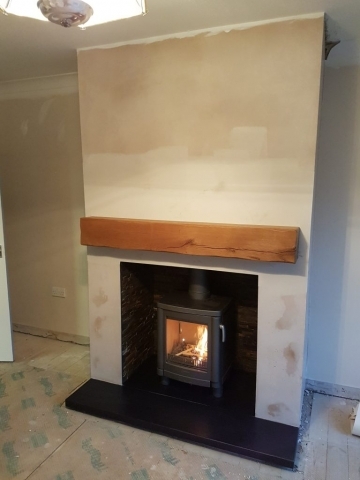 To learn more about our stove installations or for a free no obligation estimate, contact us now.